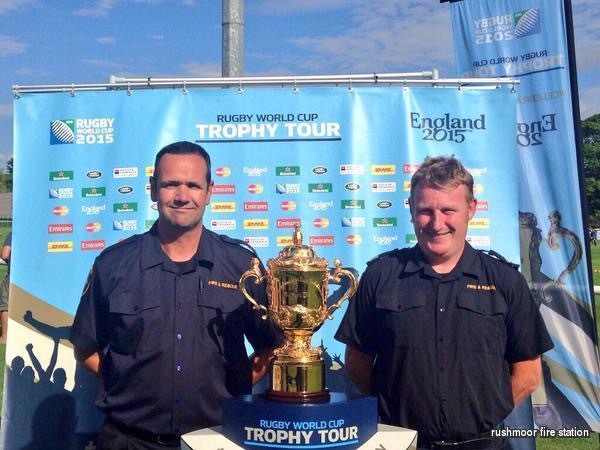 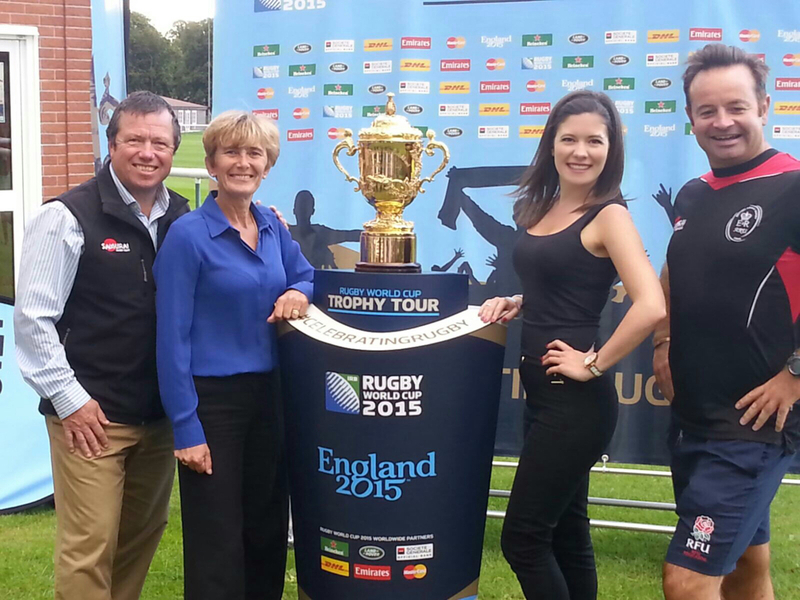 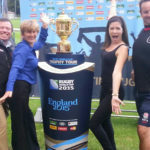 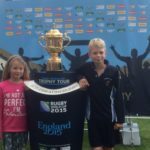 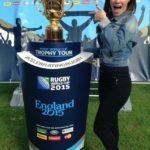 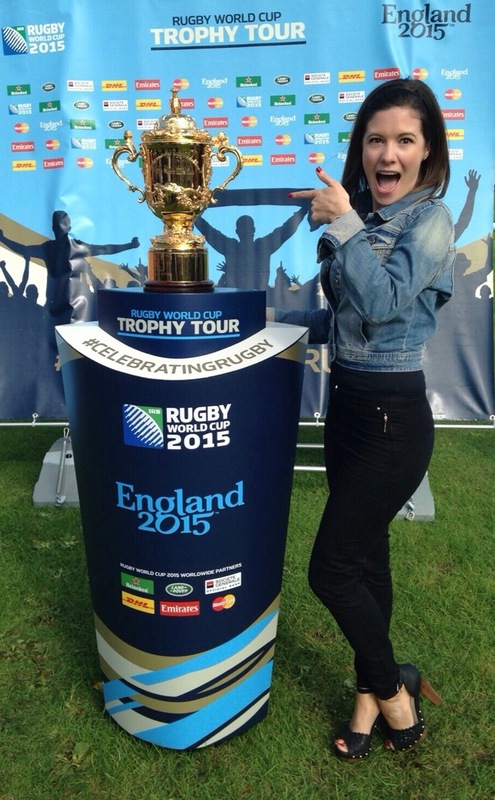 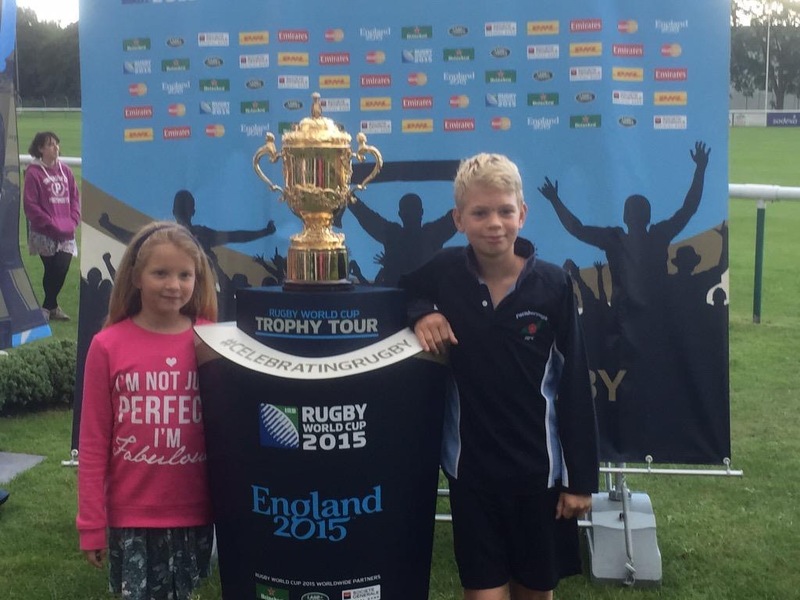 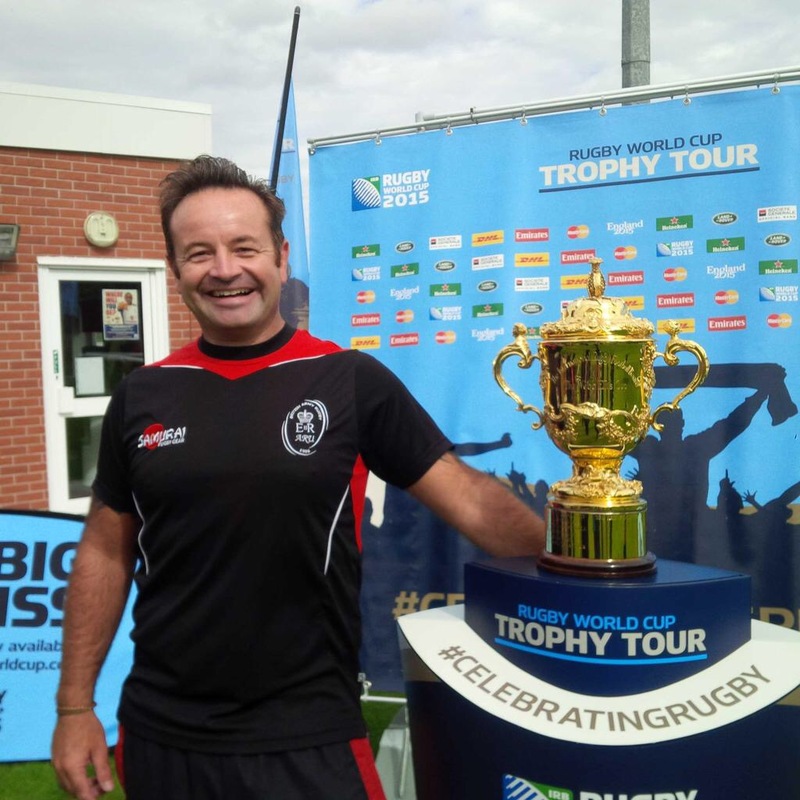 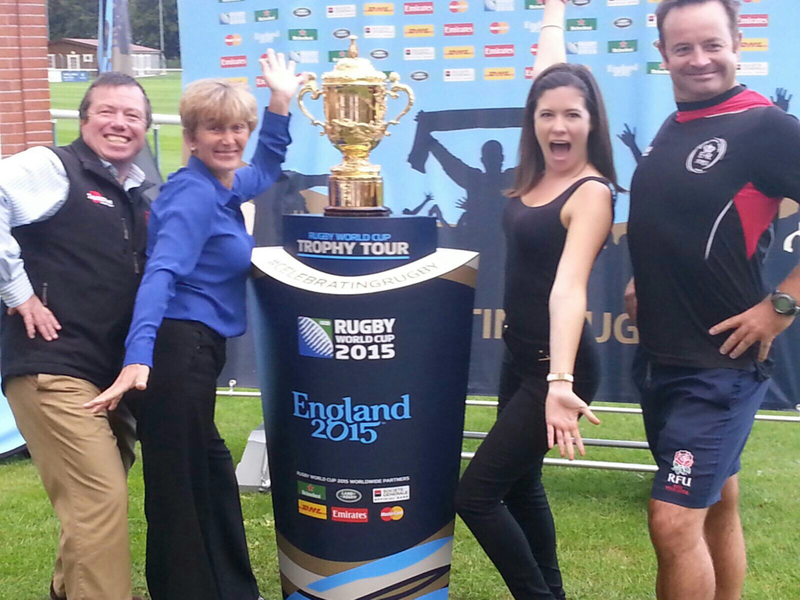 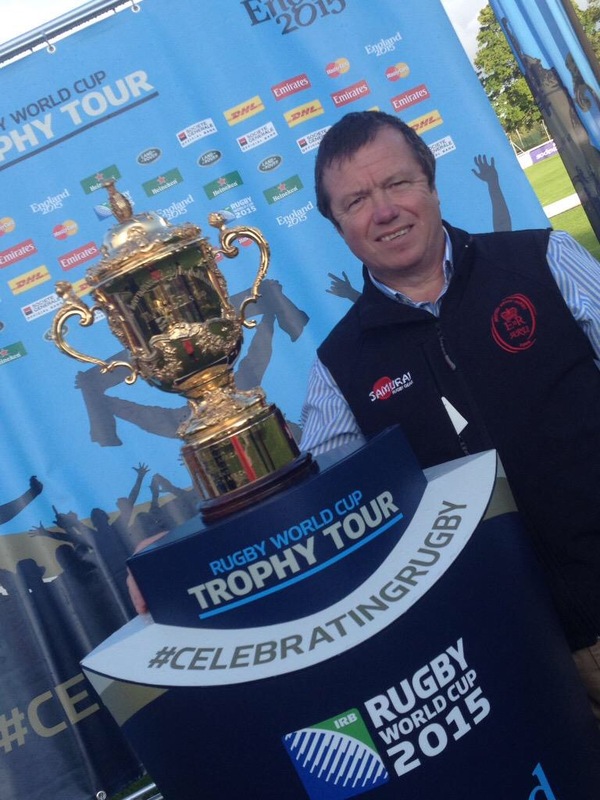 In the build up to the start of the 2015 Rugby World Cup hosted by England, kicking off on Friday 18th September, the Rugby World Cup Trophy – The William Webb Ellis Cup is making a 100 day tour across the UK to give rugby fans the opportunity to see the famous trophy up close and get a selfie. 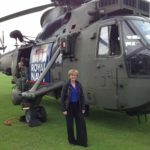 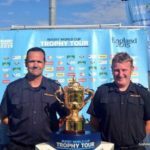 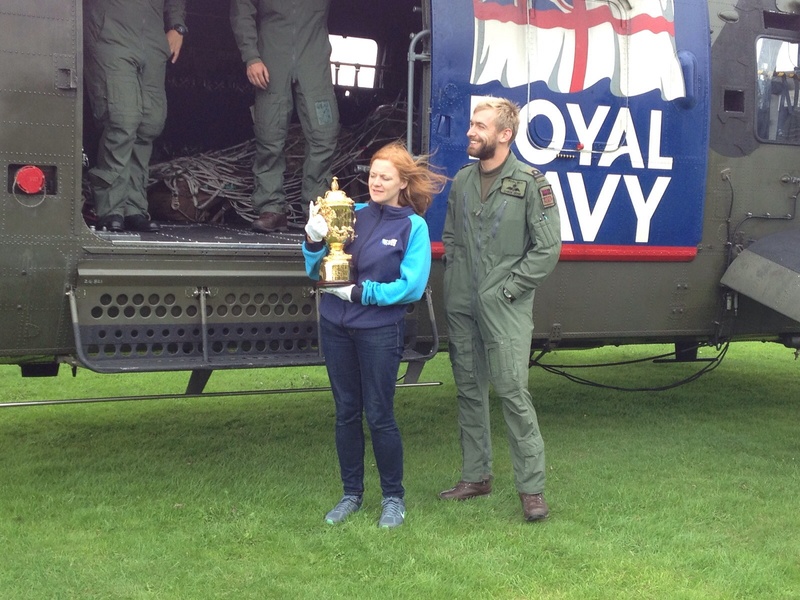 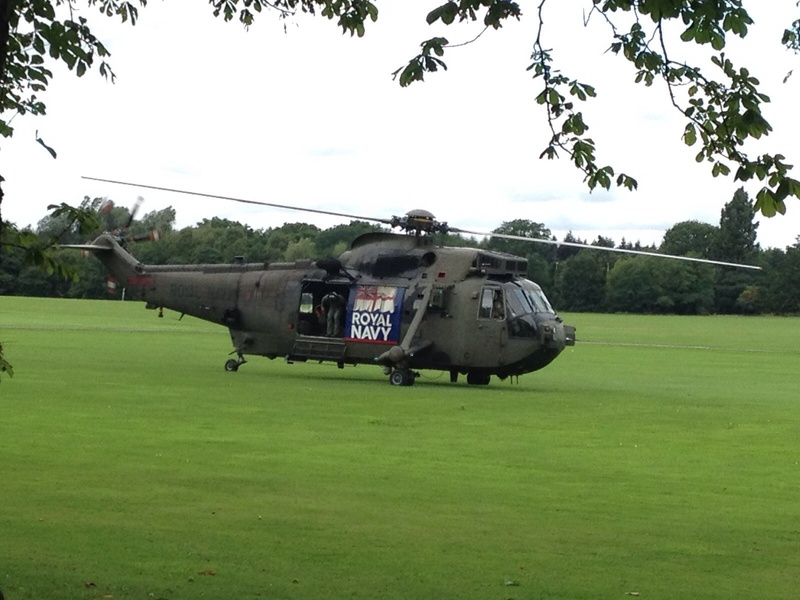 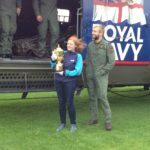 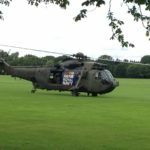 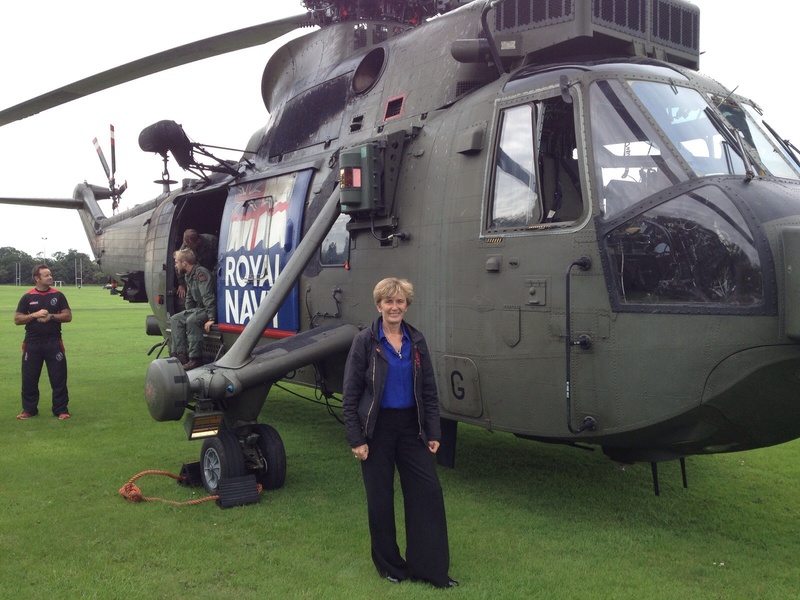 On Thursday 27th August the trophy firstly headed to Portsmouth and the Royal Navy Rugby Union before being flown by Sea King Helicopter to the Army Rugby Stadium in Aldershot where it was greeted by crowds of rugby fans from across Surrey and Hampshire. 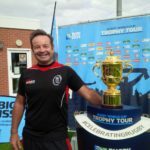 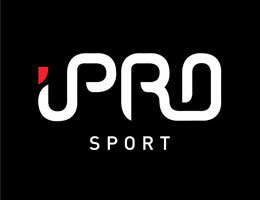 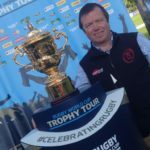 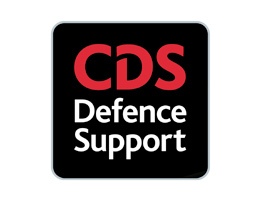 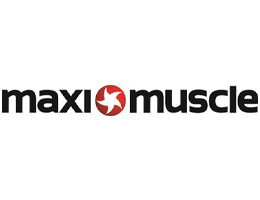 The trophy was on display within the rugby stadium for four hours during which over 500 people came and had a photo and enjoyed the Army Recruitment assault course and RFU Community Rugby festival. 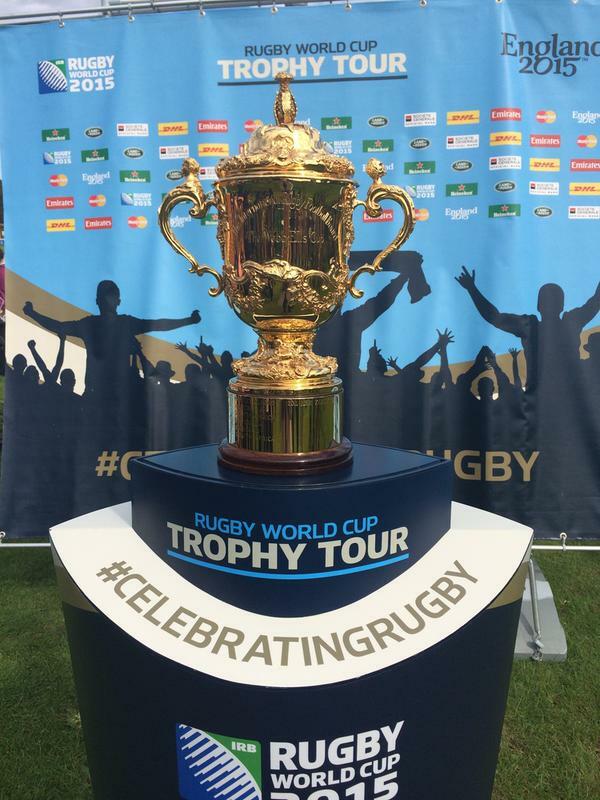 Many thanks to everyone that came along to this historic occasion and celebration of rugby. 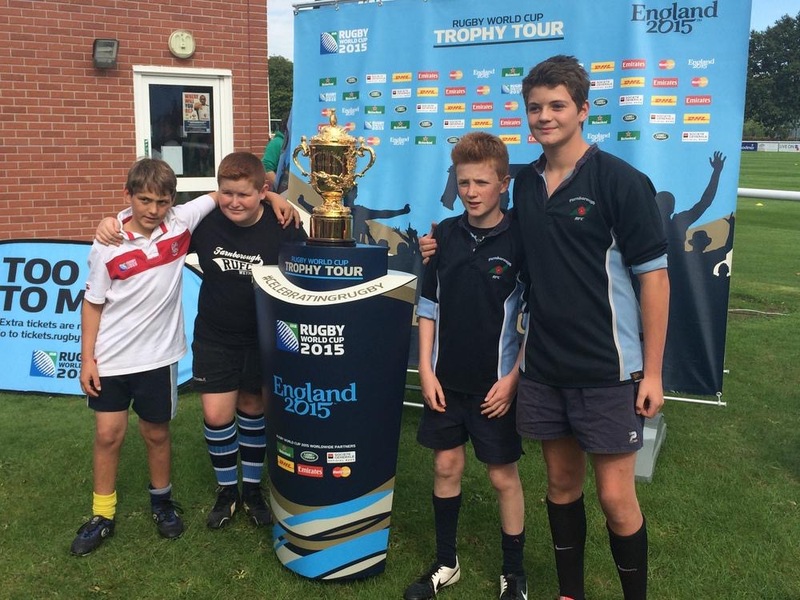 The Army Rugby Stadium will be host to more rugby mania next week as we host Fiji Rugby for a pre RWC training camp. 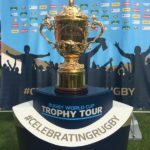 Next Thursday afternoon the 3rd September the Fijian team will host a meet and greet autograph and selfie session, entry is free so please come along to this great opportunity to meet these Rugby World Cup stars up close!